hd00:25Timelapse of pancake mixture scooped out of bowl and put into fry pan then holes appearing while cooking then flipped over. 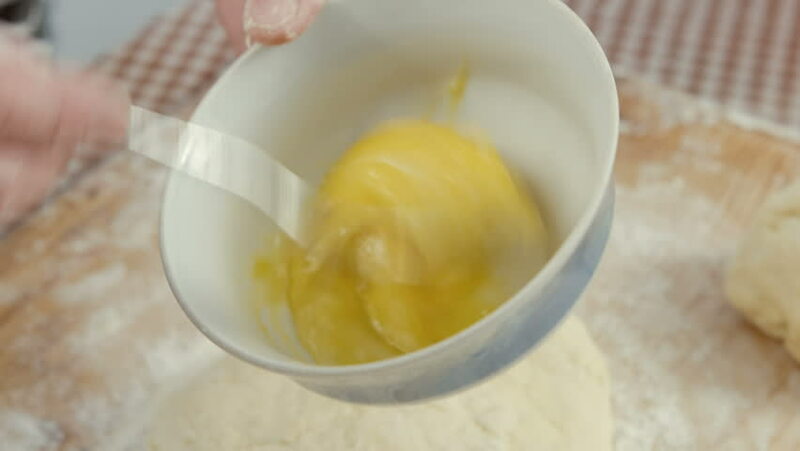 hd00:07Close up of female hands beating egg yolks with sugar in a white plastic bowl on a wooden background table. hd00:14Green tea is poured into a small bowl that stands on a light mat. Top view. 4k00:26Cook serves chicken soup with noodles in white bowl. Puts pieces of chicken, hands close-up.